Probox.space is a newcomer to the seedbox industry. They are based in the US, Europe, and India & they will expanding and improving their services for their customers all around the globe. 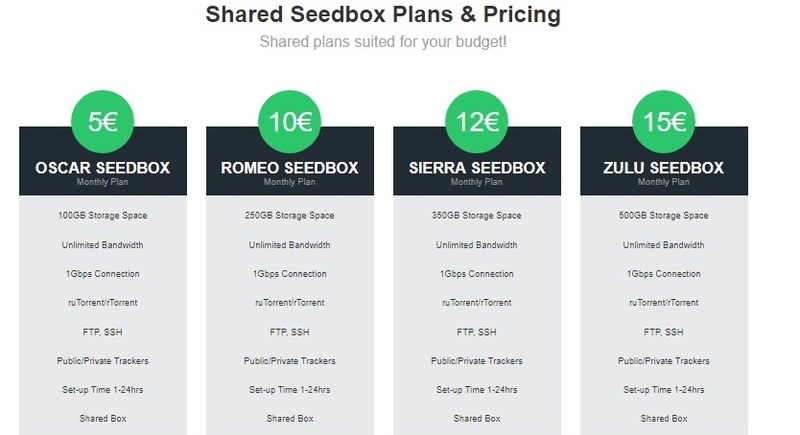 They currently have 3 types of seedbox plans – Shared, SSD and Dedicated. Their lowest plan is priced at 5€ and they only accept Paypal payments as of the moment. Probox.space offer unlimited bandwidth, a 1Gbps connection and supports public trackers. The average speed from downloading 8 popular torrents at the same time was between 30-40Mbps. The total file size for the 8 torrents was around 30GB and it took about 25 minutes for all the downloads to complete. These files have different sizes and numbers of peers and seeds so some files finished downloading early. Since Probox.space is a new company, their site look clean & simple but some links do not work. They do not have an FAQ or a Knowledgebase page and their Blog site does not go anywhere. Their reset password link does not work as well. Their support team can be reached thru email and they also have a chat support option on their site but does not seem be online most of the time. We experience login issues to the site member’s area and they were able to do a response within 24 hours. Probox.space user rtorrent as their main client but you have an option to switch to Delueg. They a Quickbox panel where you can check bandwidth data (download/upload speeds), disk space available, server load & system ram status. You also have the option here to restart & enable/disable services such as RTorrent, iRSSi-AutoDL & Deluge.